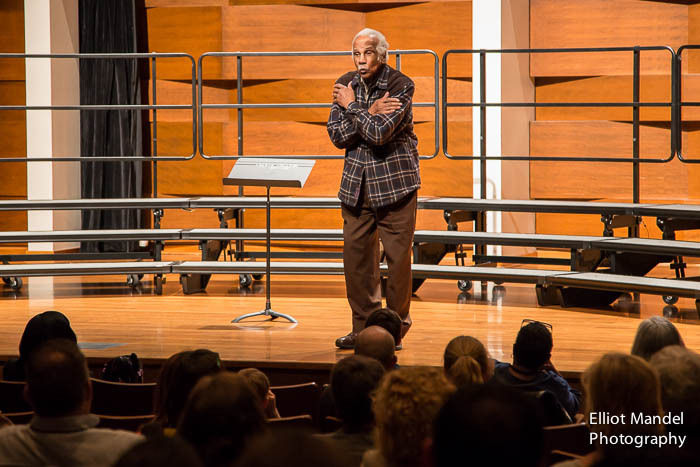 Earlier this week, I drove up the coast to Grand Rapids, MI to watch Ashley Bryan give a presentation to a packed hall at the Festival of Faith & Writing at Calvin College. 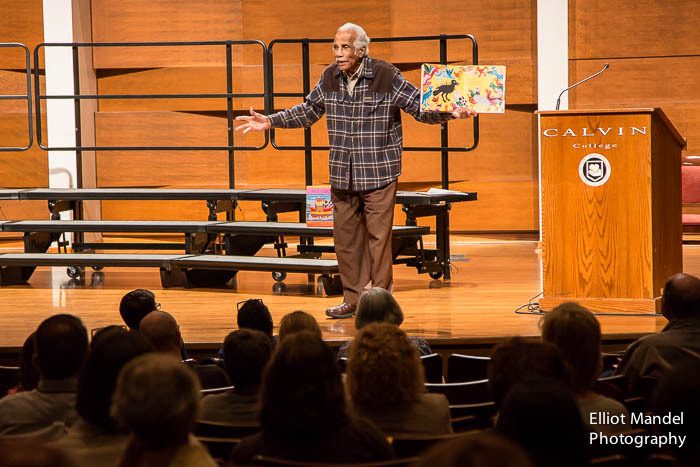 He spoke about the African American spirituals that run throughout his books for children, how the spirituals contain themes of positive self image to which all children can identify, and how a child's view of the world can be cultivated in adults. As usual, Ashley jumped from art to history to episodes of his personal story, including his time as a stevedore in the segregated army during the Normandy invasion. He closed with a particularly moving recitation of John Keats's "When I have Fears That I May Cease to Be" before a standing ovation. It's always an honor and a pleasure to be in the presence of this artist, and to see how much joy he finds in the world.